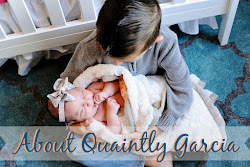 Quaintly Garcia: the mommy is going back to work! the mommy is going back to work! So tomorrow is my first day back at work and I have to be honest when I say "I'm dreading it"! I haven't been to work since late March of this year, It's been so long that I think, I may have actually forgotten how to do my job! About the only thing that is keeping me sane, is knowing that JD will be with family, I have a great set of babysitters who will spoil him rotten, that is until I get home from work to deal with the lil' monkey myself. The hubby has a great schedule (I should have been an RN too), so JD and him will get to spend lots of time together. I'm hoping this "work thing" is only temporary because I have definitely enjoyed being a housewife all these months. Well, I actually need to go to bed now, I better remember to set my alarm (I haven't done that in a while). Wish me luck! Fun and Free this Saturday! Date Night at L.A. Live! Trader Joe's Pumpkin Pancake & Waffle Mix!